Masterpiece Theater’s Emma left me wanting. Wanting to know and like the characters better. I think this production struggled to take a lengthy, complex novel and create intimate, comprehensible story. I believe if I hadn’t read the book before I would have been lost. Having said that, I enjoyed the beautiful costumes, elegant settings, and new interpretation of Emma and her friends. I am now more impressed with the difficult job of screenwriter. I enjoy Jane Austen’s world and am sure I will watch Emma, again. I wondering if there is sheet music to any of the dances from the ball or if anyone has written down the steps. They were created for this production weren’t they? I wouldn’t know. My local PBS affiliate inexplicably ran Jane Austen Regrets instead of the third part of Emma. Grrr. Your PBS station may have done what mine did last week. They ran an episode at 9 (Eastern) and then made it seem as if it was over. Then, at 10 they showed the last episode, complete with a new introduction by Laura Linney. We got Miss Austen Regrets last night too. But I watched the Super Bowl. “scolding” of Emma more effective, because you realize how much he likes her and how basically amiable he is. I was disappointed in the character of Mr.Woodhouse. Again, this is due to the writing and direction and not to the acting of Michael Gambon. Mr. Weston is a comic character. He is also something of a moral monster, with his obsessive interest in his own health blinding him to the needs of everyone else around him, including his own child. In this film, Mr. Woodhouse is displayed as tragic, in perpetual mourning for his dead wife and thus worried about losing his daughters, also. But Austen did not write the character in that way, and I think the film writer lost a lot of potential humor by ignoring how truly silly Mr. Woodhouse is. But all in all, I thought the film was enjoyable. I hope it leads people to read the novel, which is more enjoyable still. That last scene was one of my favorite in the entire adapation and without it, the ending becomes much more choppy jumping from the kiss to Emma traipsing to Donwell declaring she can’t marry Mr. Knightley. The pacing was all off because of it. Why do they continue to do this? That said, I’m happy to admit that this has become my favorite version of Emma. While not a perfect adaptation (too much waving), it managed to bring new insight into the characters for me. I thought the casting, the locations and the costumes (minus the hats) created a wonderful universe, and RG and JLM gave me an Emma and Knightley relationship that I could believe was based in a lifelong friendship. I thought Michael Gambon as Mr.Woodhouse was brill! By the way, there were a lot more scenes with Mr. Woodhouse in the original that were cut in the PBS version. I disagree that Mr. Woodhouse is intended as a comic character. Jane Austen is quoted as saying she believed him to be the villain of the piece. I was glad that this adaptation showed how oppressive Mr. Woodhouse is. And yet there were a few moments that I did laugh at him. I think this production produced a good balance between Mr. Woodhouse as a silly old fool and Mr. Woodhouse as a man who unintentionally oppresses others around him due to his “valetudinarian” habits. I am soooo very disappointed with, again!, how much was cut in this last episode from the original. I could not believe they took out a very nice scene between Emma and Mr. Knightley after they get together, with them sitting on a bench in Emma’s ground, talking about when they first realized they were in love with one another, as Knightley holds Emma. I, for one, will not be purchasing this DVD if the original BBC production is not intact. I fear that many people will not like this adaptation so much because they do not realize how good it really is because they did not see the scenes that were cut. I disagree that Mr. Woodhouse is intended as a comic character. Jane Austen is quoted as saying she believed him to be the villain of the piece. Really? I have never read anything like that. May I ask what is your source, please. I always think of Mr. Woodhouse as the opening act to the number Austen was going to do to the health fetishists later in Sanditon. That’s why I hated the touchy-feeley version of Mr. Woodhouse we got in this production. I have never been a member of the Woodhouse Defense League and I think that Austen’s Woodhouse is satirically funny and I agree with Mags that he’s more than a little horrifying; his paranoia about his own health and safety–and his busy-bodying obsession with everyone else’s–borders on the abnormal. 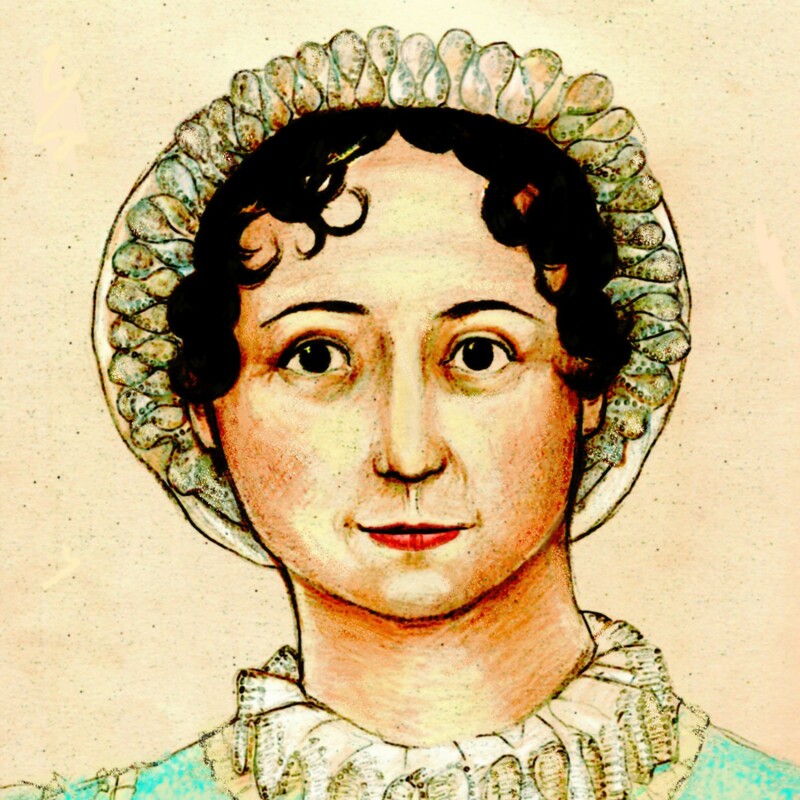 And considering that Austen herself seems to have been pretty stoic about her own serious health problems, I think she probably had little admiration or patience for those obsessed with real or imaginary illnesses. Just look at how some of the other characters who imagine themselves sickly/nervous come across–Mary Musgrove, Lady Bertram, Lady Catherine’s daughter, and even Mrs. Bennet come to mind…. Do not believe, please, that I do not see that Mr. Woodhouse can be terrible, in fact, that is one of the most endearing points of Emma (the original novel character), the way she is able to cope with him, he could drive me crazy in real life (as well as Miss Bates chattering could do so) and I do not belong to his defense league either. IMHO he is a kind of a tyrant (but one who uses opposite methods than the typical tyrant does). What I wondered is that JA had said so, not that he cannot be considered one. I forgot to add, and yet, I can laught at him and also at Miss Bates and even at Mrs. Elton as I mentioned one time, and that is one of the elements that I miss from this version, no great comedy :(. The last episode was hurried and erratic and one was definitely left feeling dissatisfied. They also never mention who sent the pianoforte. It’s kind of obvious that it was Frank Churchill. The only reason why Frank came back to Highbury was because of Jane Fairfax. Overall, I enjoyed this adaptation. By far my favorite Emma. I thought the places where it veered of the novel were well done, particularly as they seemed serve the purpose of explaining the characters to us in a way that is otherwise difficult to dramatize. I, too, was very disappointed about the missing scenes which I felt were important in the development of Emma, even if they weren’t plot-movers. I counted a few others besides the ones mentioned earlier. And the scene with Emma and Mr. Knightley after the proposal was beautifully done. I am sincerely hoping these are on the DVD. At first, I was surprised at this version of Mr. Woodhouse, but ultimately I thought this character assisted in illuminating Emma and giving her more depth–which I think Austen intends and succeeds in doing in the novel, but that I have felt lacking in other onscreen adaptations. I also thought some of the more modern manners served this purpose too. Emma, is to me, a pretty modern female and her story certainly continues to resonate, so the modern mannerisms were an effective way to get the audience involved. Overall, I really enjoyed this adaptation but I have to agree the final episod (#3) was choppy and confusing especially after Emma and Knightly’s kiss. It seemed like it just wrapped up too quickly. The original BBC version wasn’t choppy. There was a scene after the kiss where they sat on a bench and talked. It was a lovely scene. This is now my favorite “Emma.” I can’t wait to own it. I agree, what I saw of the original BBC version wasn’t choppy. Does anyone know if the DVD has the original version on it? On the other hand, why on earth was Emma practically in hysterics when she barged in on Mr. Knightley and declared she would never marry him? That was ridiculously excessive! Overall, I liked the production, although I think most of the secondary characters were extremely disappointing. The heart of the romance between Emma and Mr. Knightley was good, but I felt like the screenwriters were trying too hard to make everyone else sympathetic. The minor characters are supposed to be silly! In regards to Michael Gambon’s portrayal of Mr. Woodhouse, I read a review written by someone on IMDB and their take on Mr. Gambon’s portrayal was, I thought, spot on. In the Paltrow version he comes off fussy. But with Gambon playing Mr. Woodhouse, I felt really empathetic towards the father. I totally left the game and went to finish watching Emma!!! Priorities!!! Hi everyone. I mostly lurk but am happy to surface for this topic! As we’re snowed in here in DC (still, actually – the plows and salt aren’t the most forthcoming around here), my husband and I watched the first two versions on pbs.org and the third version on YouTube (UK version) this past Saturday. I find that Emma, being such a fantastic book – you push on it, and it keeps giving back – really does lend itself to a variety of valid interpretations. The energetic, bubbly, childlike (“spoiled child”), but still officious and meddling portrayal that Romola Garai gave is an interesting take. If Emma is a small-town girl moving in a small circle of friends, it’s entirely possible that she might have a few quirky things in her manner, despite her class. I honestly enjoyed it even though it was completely unexpected, especially considering the other two more recent adaptations. I also appreciated a couple of the themes that the screenwriter pulled out of the book, especially the routines of Highbury life being broken into. I especially liked the scenes of Mr. Knightley stepping out of Donwell for his daily walk to Hartfield, and (although not JA herself) Emma’s realizing that Mr. Knightley’s chair needed reupholstering only because he wasn’t there to sit in it (at the end, when he’s in London). There’s even a hint of this theme when Mr. John Knightley questions Jane Fairfax about her morning walk to the post office – it’s an unusual habit and Jane has to justify herself. I agree with Cecilia’s comment that the understated portrayal Jonny Lee Miller’s Knightley was good for our understanding of him. I never did like Mark Strong’s portrayal (too gruff and unlikeable), and Jeremy Northam’s sunny portrayal seemed to lack the lecturing that Mr. Knightley feels compelled to apologize for in his proposal. It seems that the BBC continues to take up the Andrew Davies’ show-the-feelings-of-the-male-characters-a-la-Mr-Darcy, but this too was understated – just enough to clue the audience in and build tension. Jonny Lee Miller was also comfortable acting with the kids – knew how to horseplay, hold a baby comfortably and naturally, etc. – and that definitely added to a positive impression of him as a family man! I also appreciated that Mrs. Elton’s annoyingness had limited screen time – THANK GOD – she’s difficult to watch if overdone (like Mrs. Bennett!). With the exception of a few awkward moments and one or two gushy, modern romantic tropes (why, oh why, do 1) all the women go in for the kiss and 2) with the hands around the face? ), I find that this adaptation is growing on me. I’m new to this site (found it via a Shakespeare blogger). Just wanted to put in my vote for the best Emma. I think Gwyneth Paltrow played the part the best. That production seemed more accurate as far as mannerisms,costumes, etc. of a woman of her class in that era. I tried to stay tuned to the updated version, but found Ms. Garai’s Emma a little too “out there” as far as facial expressions, mannerisms, etc., and admittedly, didn’t stick with it. I’ve not seen the Kate Beckinsale version, but I was disappointed in this one, especially as it was the BBC. I was expecting a bit more. Hopefully I’ll be able to catch it again, last through the last two episodes! Then, we’ll see! Thank you all for great comments; I’ve now bookmarked this page. Best of the day to all Austen fans out there! The Beckinsale version was not produced by the BBC. It was produced by several commercial enterprises in the UK and the US. Below is the review copied by a reviewer at Amazon.com. They say that their Region 1 DVD does have all the scenes that the U.K. one does. Emma 2009 is number four on the Amazon.com top 100 Bestseller DVD list right now! I left the game to watch Emma also. It was a nice surprise to discover that the Saints when I switched back! I like the point that Rhonda made that Emma can be open to many interpretations. There were many things that I liked about this version but the potrayal of Emma made me wince. I liked her energy but the facial expressions and her awkwardness were difficult to watch. I loved Jonny Lee Miller as Mr. Knightley, he was handsome, smart, elegant and kind. Okay, the movie definitely prompted a re-read of Emma! I just finished and (being on the lookout for such references) there were many references to Emma’s laughing or speaking gaily. I’m trying to remember if Kate Beckinsdale or Gwyneth Paltrow laughed, out-loud… anyone? That being said, Romola Garai’s moments of quirkiness remain… quirky. I think my reading of Emma was always tainted from seeing the movie adaptations before I ever read the book. This new version has thrown me for a loop, it was so surprising to me.